Amazing and Unexpected uses of Coca Cola | Do You Know? One of the ingredients in Coca Cola is sodium bicarbonate (baking soda), which is an alkaline substance that can help clean your belongings and take care of your body. To remove rust from objects, soak them in Coca-Cola overnight, then scrub in the morning. 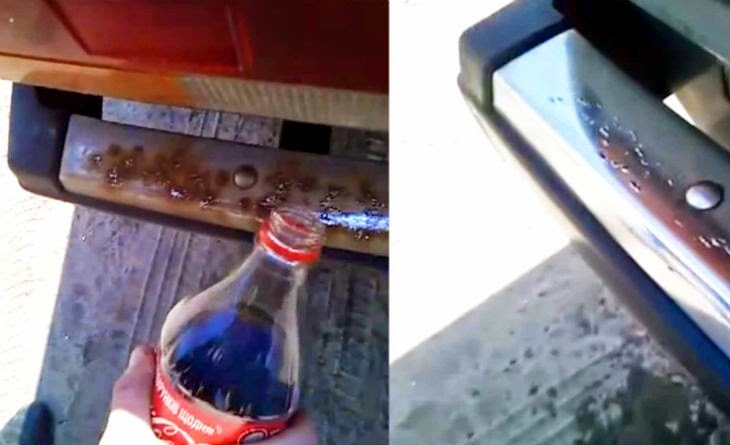 The Coca-Cola helps break up the rust, making it easier to remove with a little elbow grease. It can also be used on rusted chrome by pouring Coca-Cola on a rough cloth or scouring pad and rubbing in a circular motion. 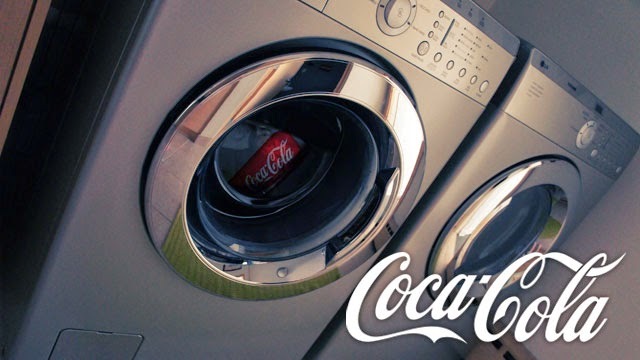 Coca-Cola is an inexpensive stain remover for clothing. Just pour a can on the soiled areas, and let it soak for awhile. Then wash as normal. It even works on some stubborn stains, like grease and blood. As an added advantage, it also helps deodorize the clothing. Coca-Cola helps ease the pain of different types of stings. 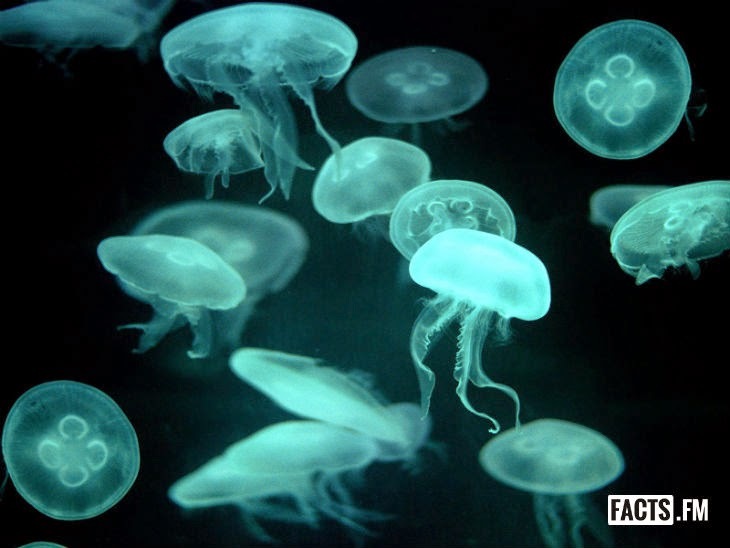 Try pouring Coca-Cola on bee and jellyfish stings, and mosquito bites. Especially if you don’t have any helpful topical ointment with you. Coca-Cola even helps relieve the pain from the sting of a stingray. 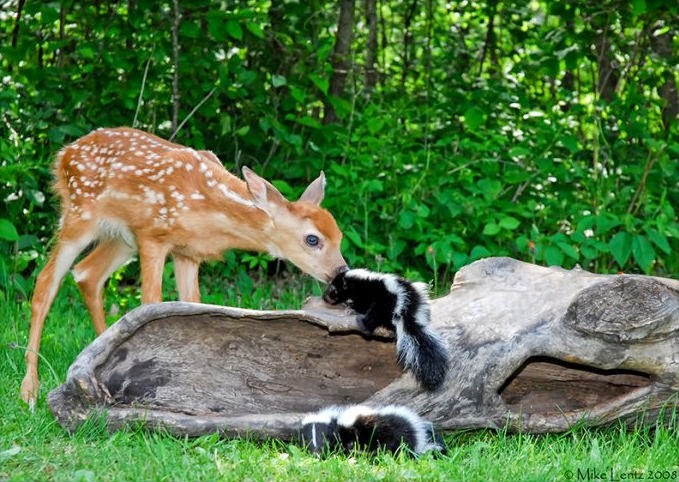 To help eliminate skunk odor, mix a can of Coca-Cola with a little dish soap in a bucket of water. If you need a stronger solution, add hydrogen peroxide and baking soda to your mixture. If you have the skunk smell on yourself, pour Coca-Cola over the smelly areas (or sponge it on), and then shower off. 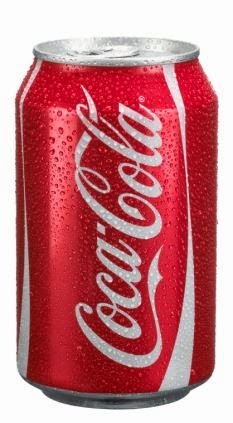 Coca-Cola has the additional benefit of making your hair soft. 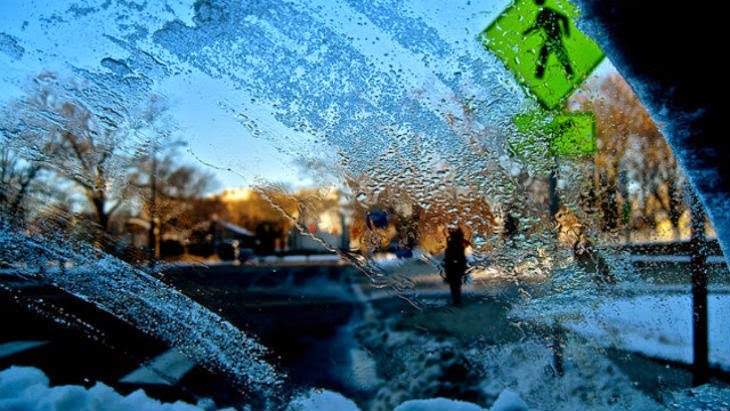 To quicken the time it takes to defrost your frozen windshield, pour a can or bottle of Coca-Cola over the icy area first. Wait a few minutes, and it should be much easier to scrape the ice off. 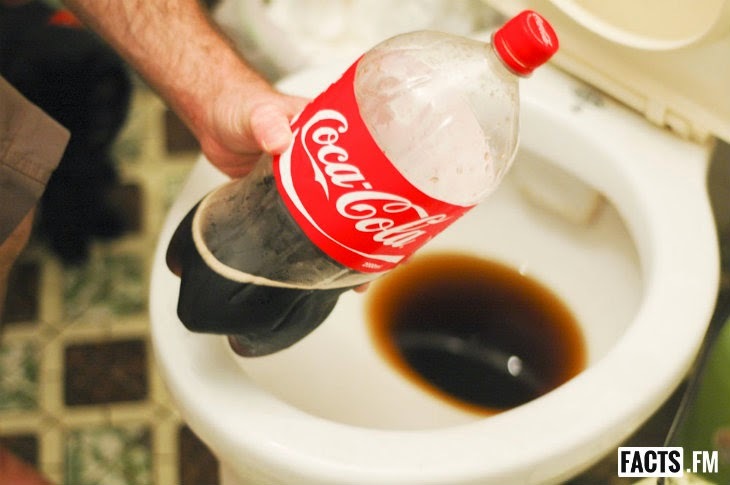 Pour a can of Coca-Cola into the toilet bowl before cleaning to help ease up the dirt. Let it soak a bit, then clean as usual. Your scrubbing time should be reduced. The citric acid in Coca-Cola makes it a great window cleaner the same way citrus fruit types of window cleaners work. 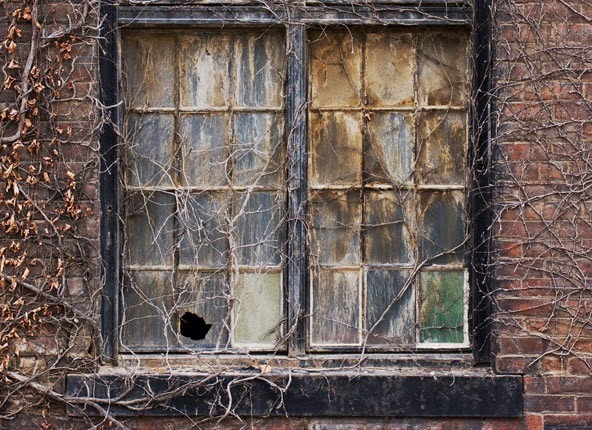 It works especially well on heavily soiled windows. Just be sure and clean off with a damp cloth to remove all the sugary substance so that it is not sticky. 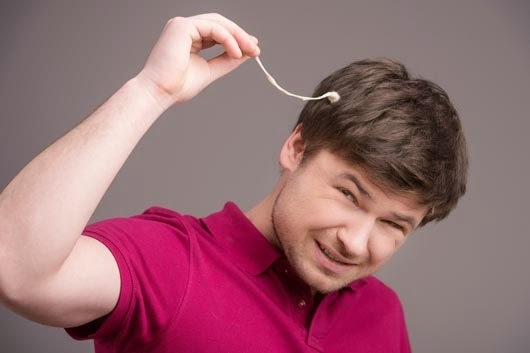 Coca-Cola can be helpful in removing gum from hair. Totally soak the gum area in Coca-Cola and let it sit for a few minutes. Then, slowly start removing the gum. It still could be a long process, but is better than having to cut off the hair. Help keep wasps and other bugs away from you while you are outside by placing open cans of Coca-Cola on the outer edge of your gathering. Wasps in particular are attracted to the sweetness of the Coca-Cola. 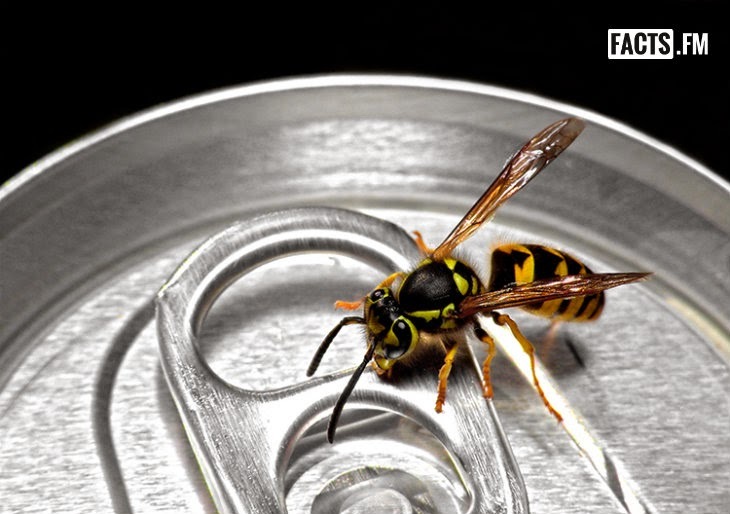 Just be sure to not try and drink the Coca-Cola later, as there may be a wasp or two hiding inside the can. So, will you try these ? If you had tried one or more of these, please comment to let others know !! !